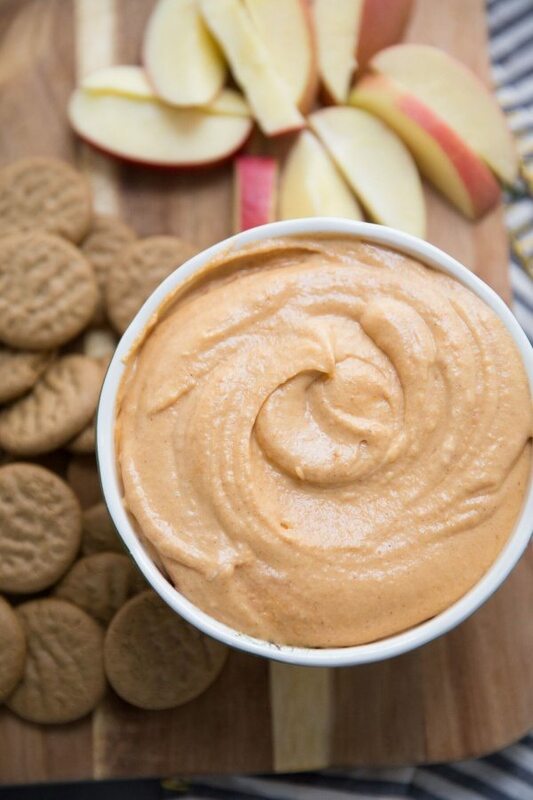 This Pumpkin Spice Dip is the ultimate easy dessert recipe. If you’re not a baker, or if you’re just super busy and need something easy, this is the dessert recipe for you to try. It involves using a hand mixer to blend a few ingredients together. That’s it. The biggest challenge is making sure that your cream cheese is completely softened for a smoother blend. 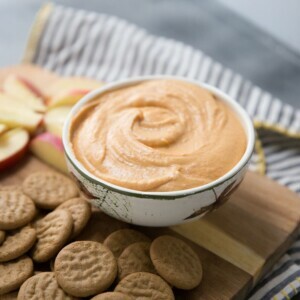 The result is a sweet and creamy dip that is completely festive for the fall season and holidays. 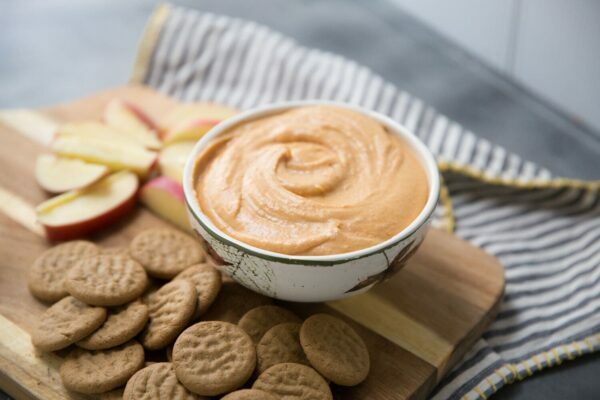 Serve with store-bought gingersnaps and/or apple slices for dunking. It’s that easy! In large bowl, use an electric mixer to blend cream cheese with sugar. Add pumpkin and spices and blend well. Place dip in a serving bowl. Serve with gingersnaps or sliced apples.